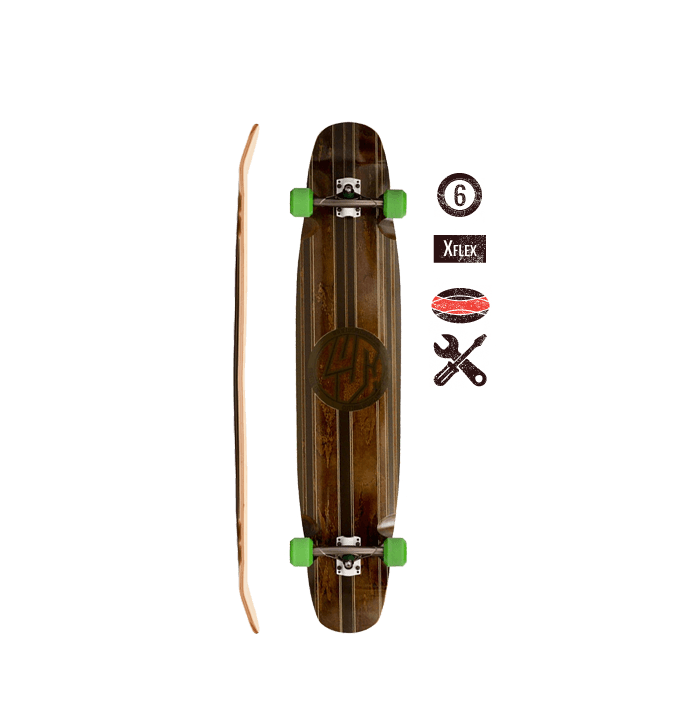 Choosing the right longboard isn’t always easy. Longboarding is a very diverse thing. 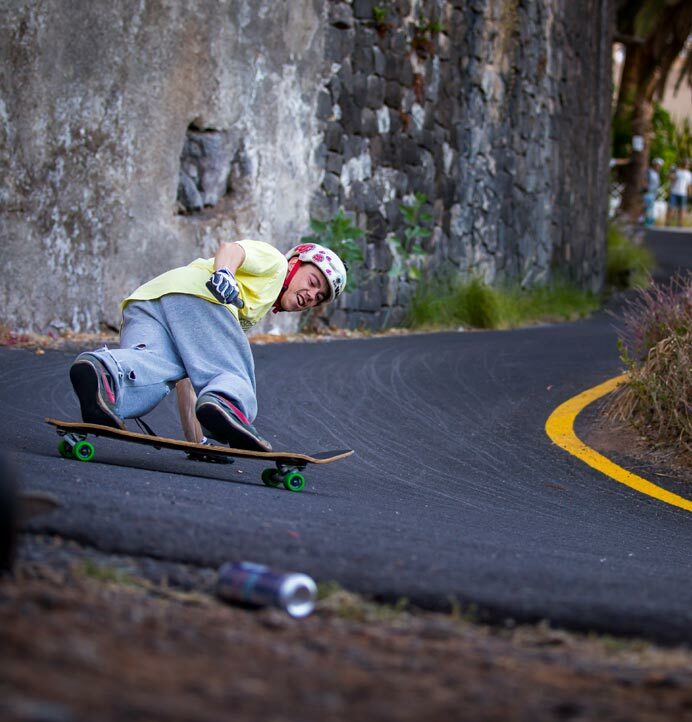 For this reason, every longboard in our lineup does something different. 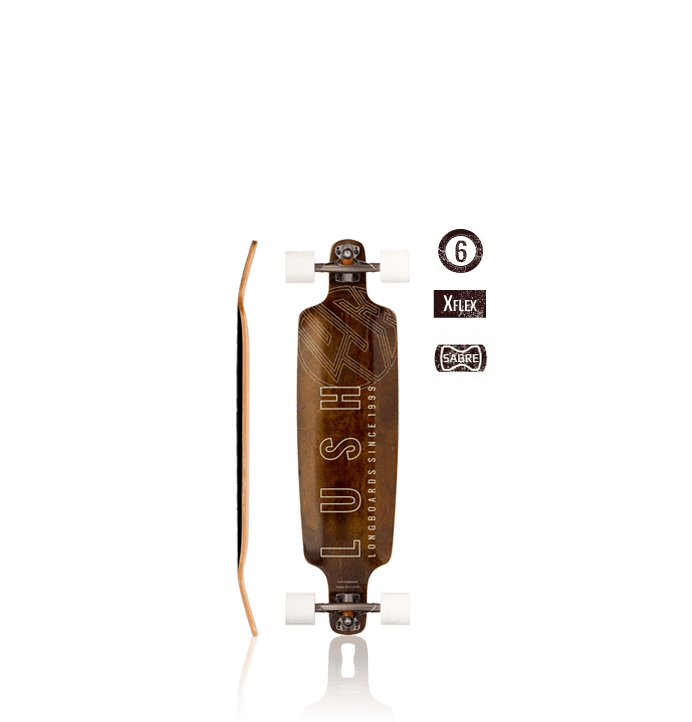 Of the myriad of different things you can do with a longboard, you might only be interested in one or two of them. And there’s nothing wrong with that – the beauty of this is that you choose how you want to skate! Pick the reason you are here and we’ll help you choose the right board. Stop wondering and get on a Lush Samba! 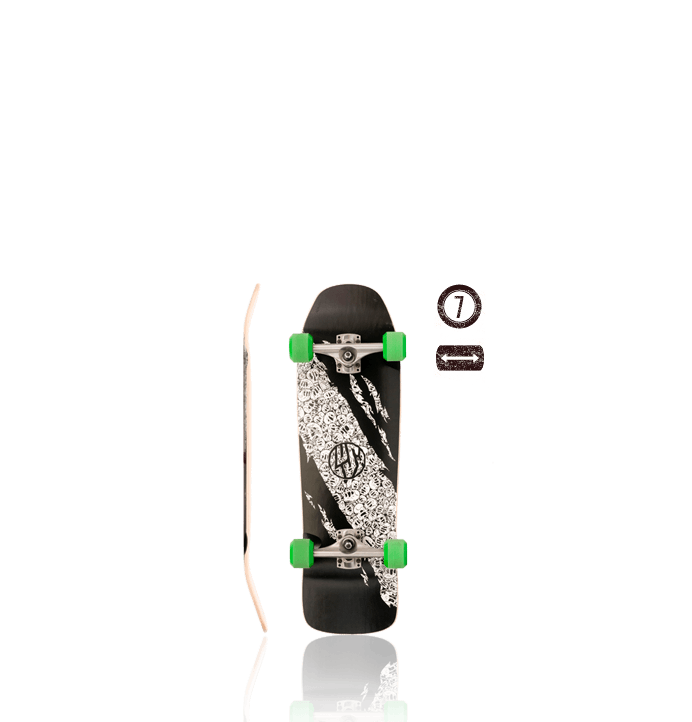 We have created this board specifically to recreate the feeling you love – tons of lean and super-controllable sliding. Crank a Samba over in a turn and you can feel the grippy wheels scrabbling for grip as the back end slides out. 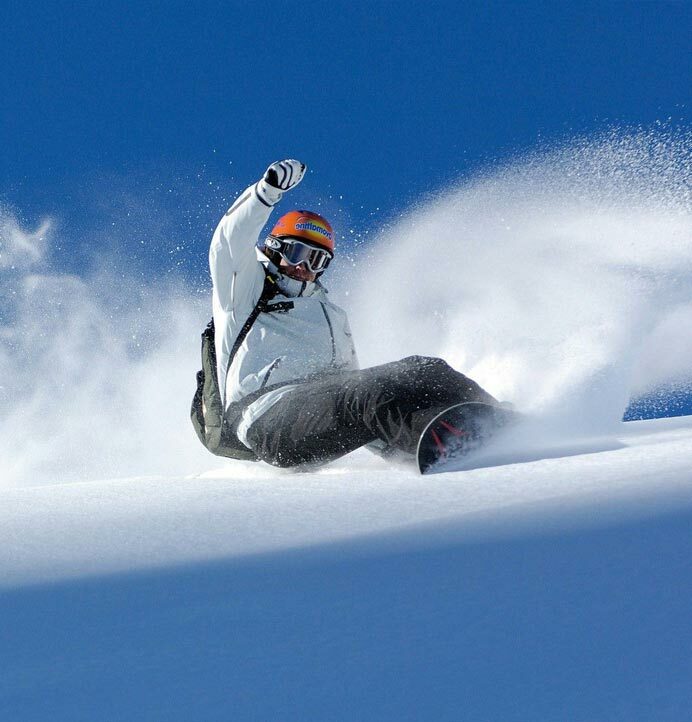 Which a little imagination, you’ll be throwing buckets of powder with every carve. Once you get the hang of sliding, you’ll be addicted! The feeling of holding a bard sideways at speed will be familiar to you if you ride snow or waves a lot – on a hill it has it’s own thrill. Learn to slide well and you’ll be able to skate any hill in your path! Check out the Learning Curve for some ideas. Longboard dancing is a great way to enjoy a simple flat carpark. Linking tricks and footwork needs a big, long, flexy deck, preferably with a decent nose and tail. 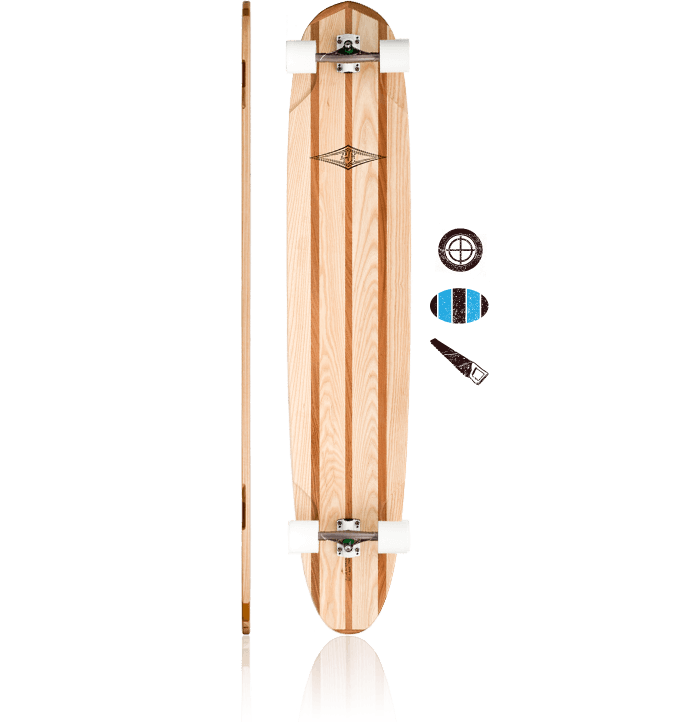 The Legend, being longest board in our lineup, is designed specifically as a dancing/boardwalking board, with all the room you need in a flexy, lightweight package. If you’re chasing a more aggressive style with flips and shuvits, the drop-through Symbian 3D is what you are looking for. Need a hand figuring out your next trick ? Check out the Learning Curve for some help! 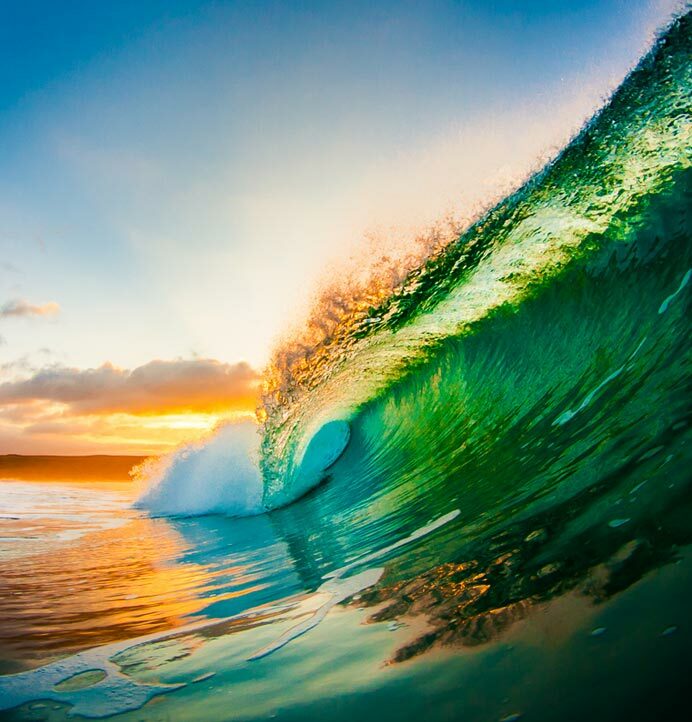 If you’re a surfer, we know one of the things you are missing are those deep bottom turns and lip slashes. Or maybe you’re looking for a way to practice your footwork while you’re waiting for the waves to pick up. For the shortboarders amongst you, you need to check out the Samba. 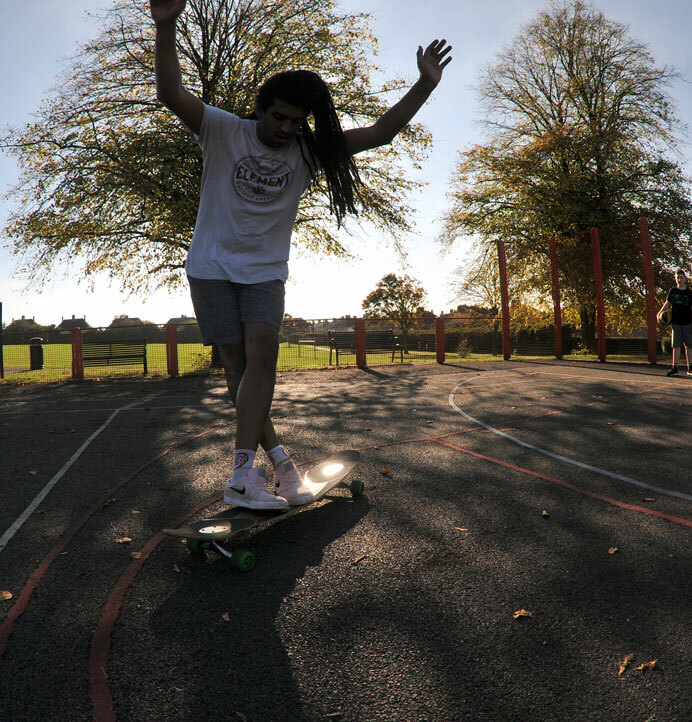 Designed to turn as hard as possible with tons of lean, this board turns a flat stretch of pavement into your favourite break. 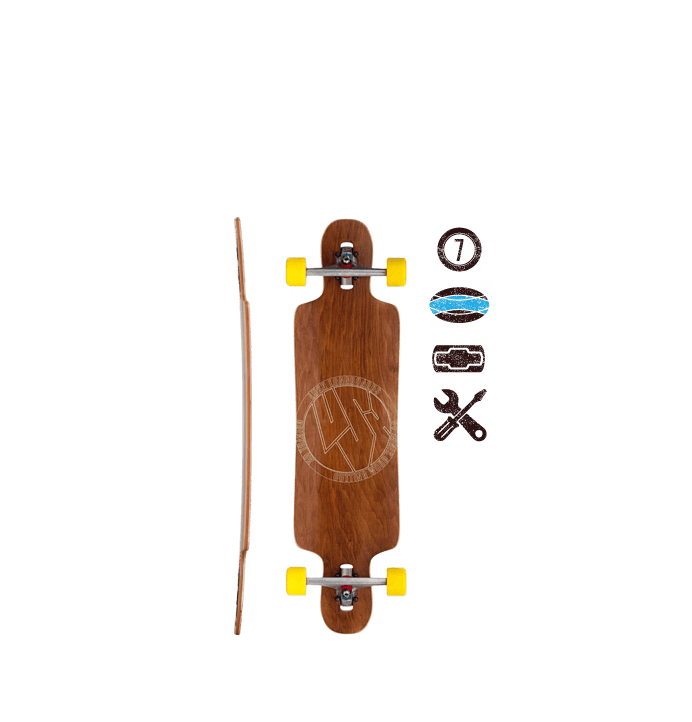 For the longboarders out there looking to get your hot-doggin wired, check out the longer Lush Legend, with ample space to walk up and back. You’ll be amazed how much of a difference it’ll make next time you’re in the water. 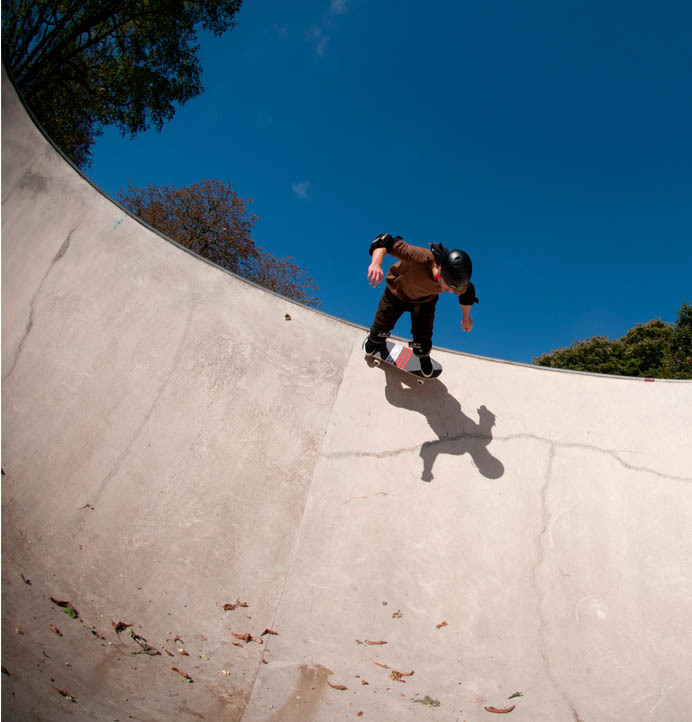 With sick concrete parks popping up all over the UK, skating transitions has never been so easy. You need the right tool for the job – we have a few shortboard and longboard shapes that will fit most shapes sizes and ages of skater. Choose your weapon and get shredding! 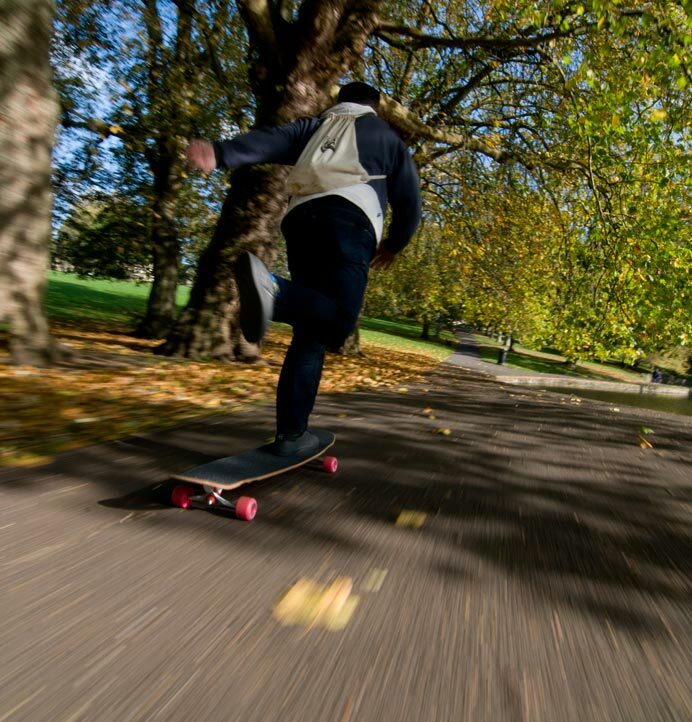 Longboarding doesn’t need to be about tricks, speed or showing off – sometimes the simple pleasures of just cruising along are enough. We’ve been making boards as a fun way of getting around for many, many years. We know what works, and what doesn’t – when you buy a cruiser from us you can rest assured that we’ve set it up just right! The purest form of skateboarding is going as fast as you can down the biggest hill you can find. Take this to its extremes and things can get a bit serious – you need solid gear under your feet that you can trust.